Usually thrust through a sash and worn on the same side as the fighting hand. Allows quick overhand grasp for a fast and effective fighting style. 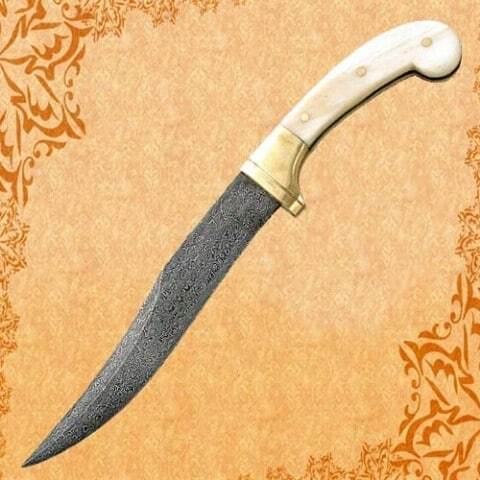 Handsome recurved 16.5cm blade made from 512 layer Damascus steel. Full profile tang pinned by solid brass bolsters and real bone scales. Overall length 27cm. Weight 0.2kg. 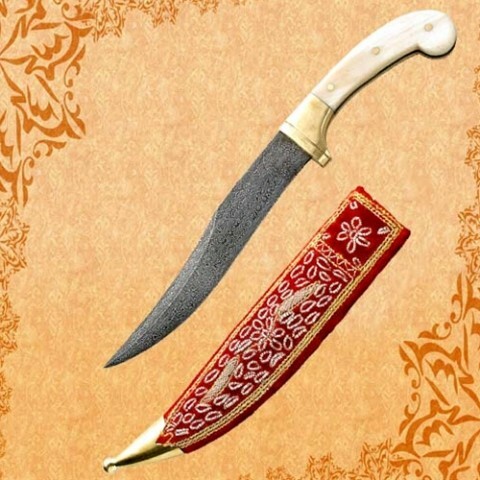 Has traditional wooden scabbard covered in velvet with embrioded designs and brass tip.